In the world of fashion, this oh-so-French word refers to a ruffle of lace or fabric attached down the center front of a blouse or garment. (Think 18th Century men about town.) 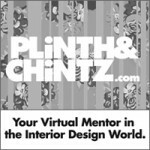 In the interior design / decorating world, it’s quite similar, but instead of on a frock, it shows up on a traditionally styled window treatment or bed canopy. Specifically, it’s the cascading, pleated, (usually) tapered fabric on the sides of a fabric swag that makes it more dramatic. The pleats allow for exposure of both sides of the fabric, which provides more decorative options. 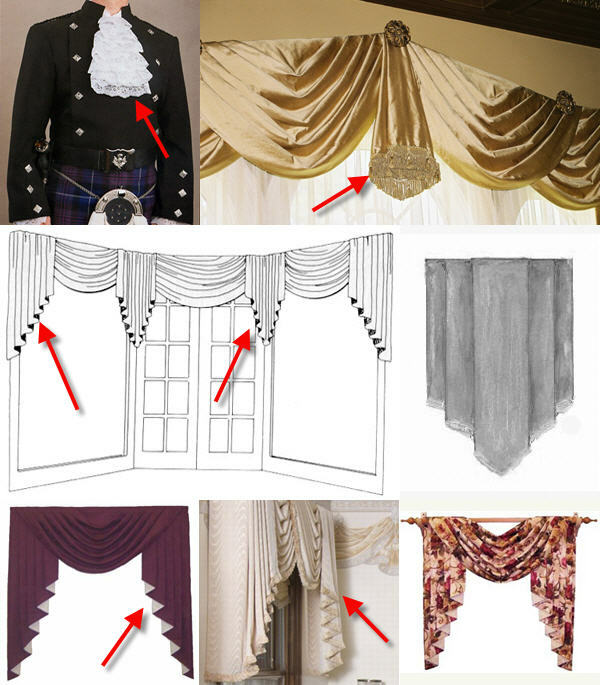 There are variations on the jabot, of course, but just remember it as always being the vertical textile piece of a window treatment.